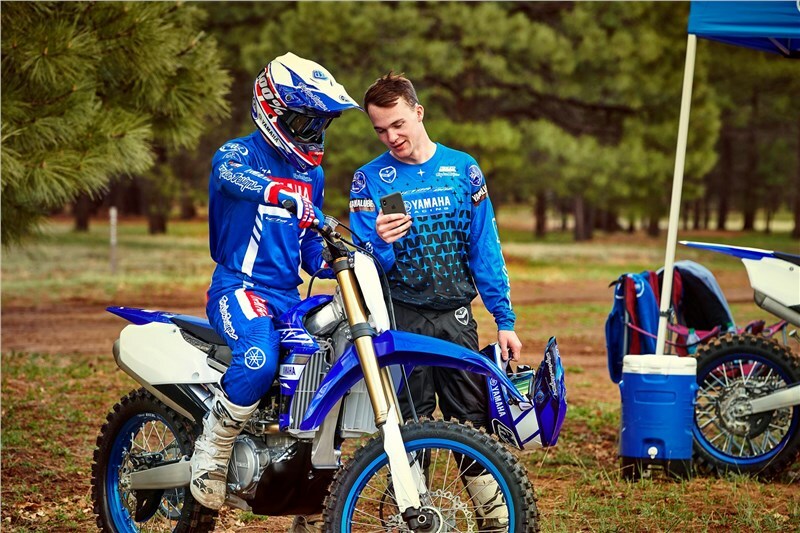 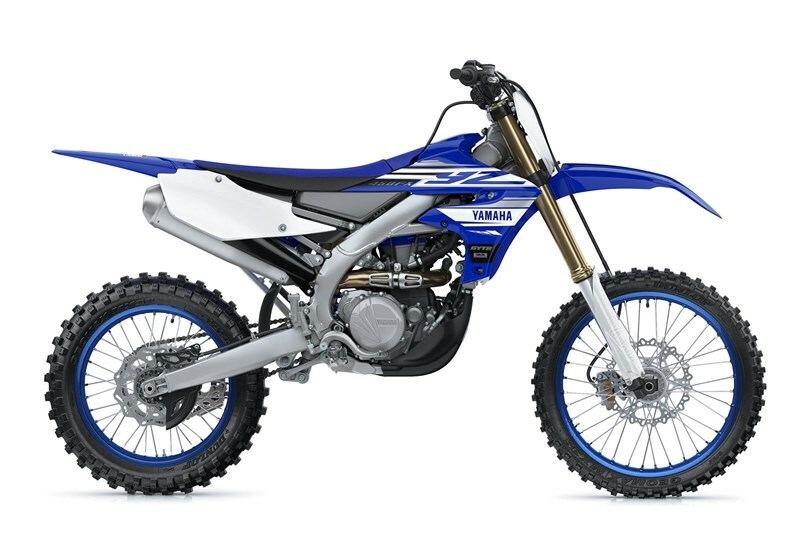 For 2019, the new YZ450FX adopts all of the latest upgrades found on the YZ450F motocrosser, including the advanced frame, suspension, engine and electronics—including the Yamaha’s exclusive Power Tuner smartphone app—with changes designed specifically for the needs of cross-country competition. 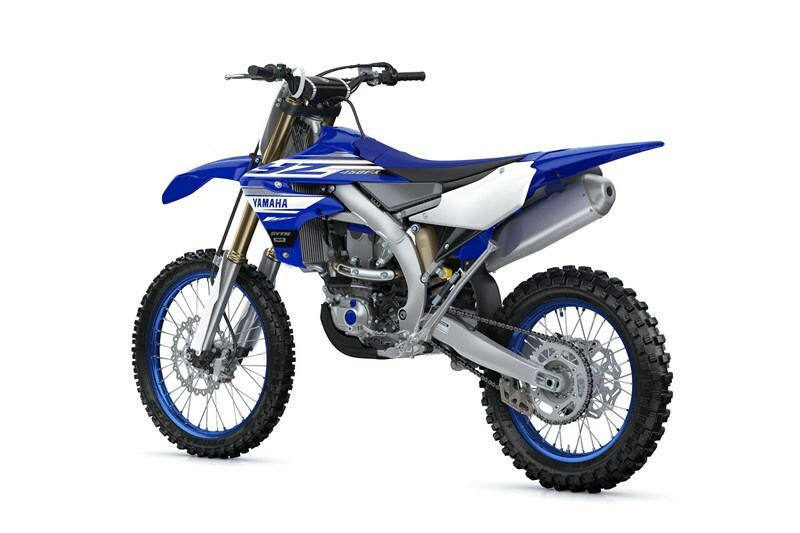 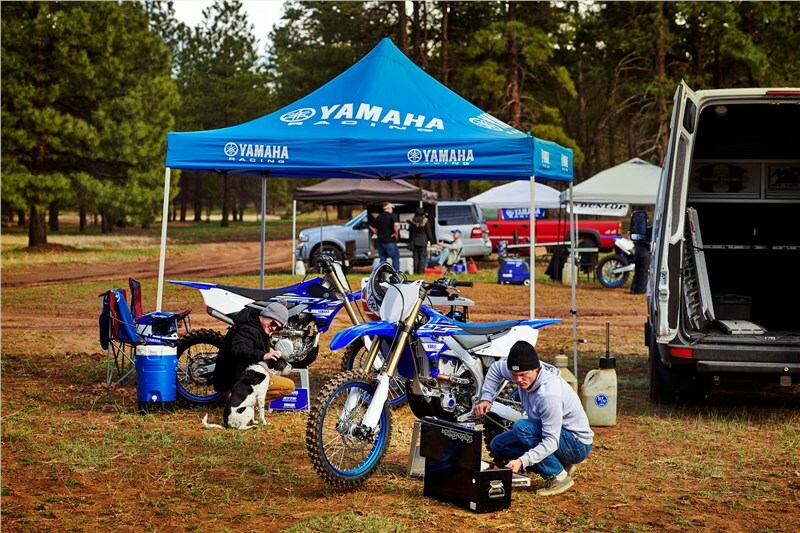 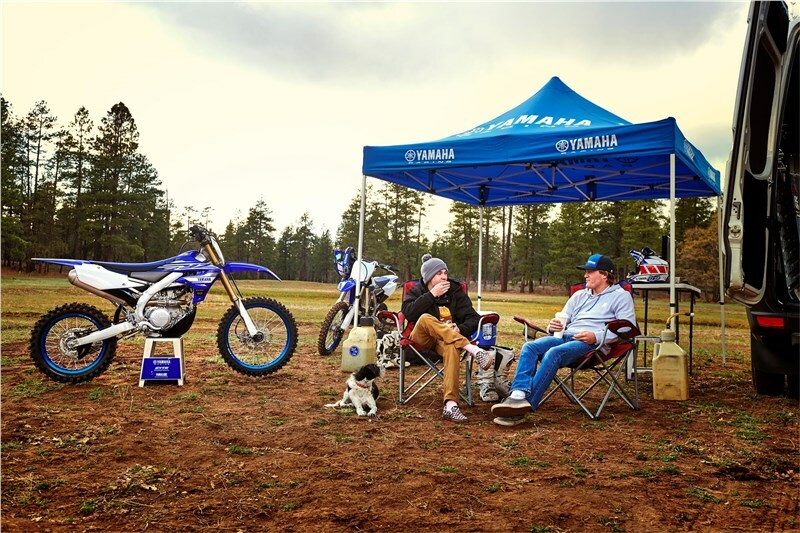 The YZ450FX’s distinct rearward-slanted cylinder design – complete with rear exhaust and forward-mounted intake system – features a cylinder head that works with the frame geometry for optimized weight distribution. 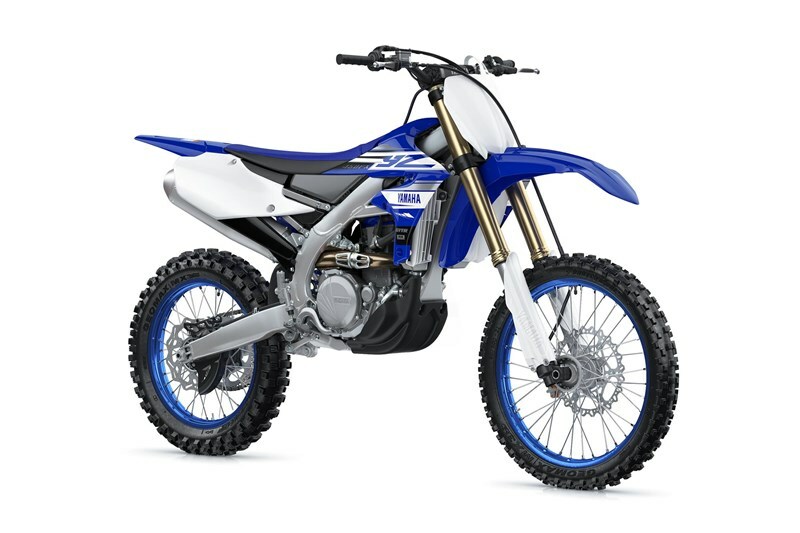 Inside, the engine features a straight intake tract, aggressive cam profiles, high-compression “box bridge” piston design with DLC-coated piston pin, and more. 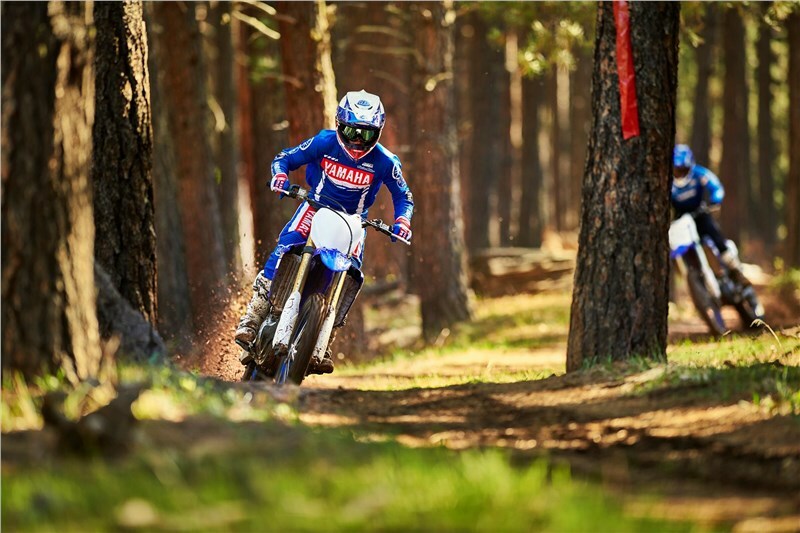 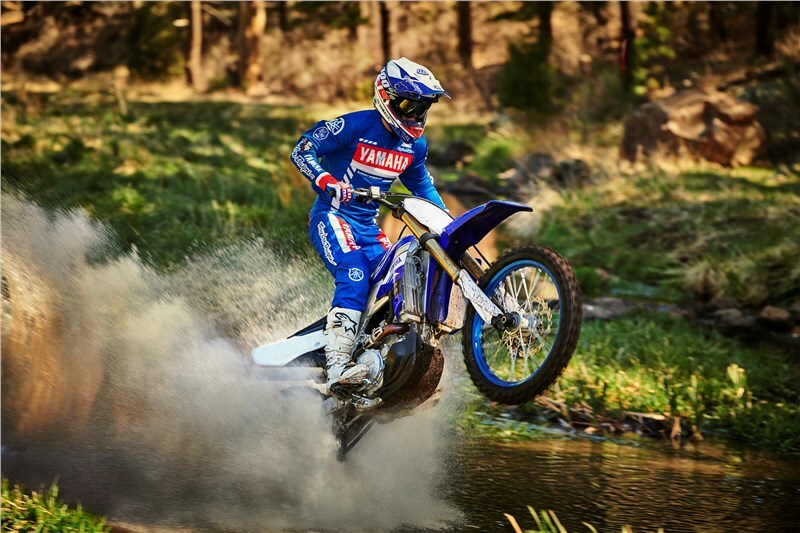 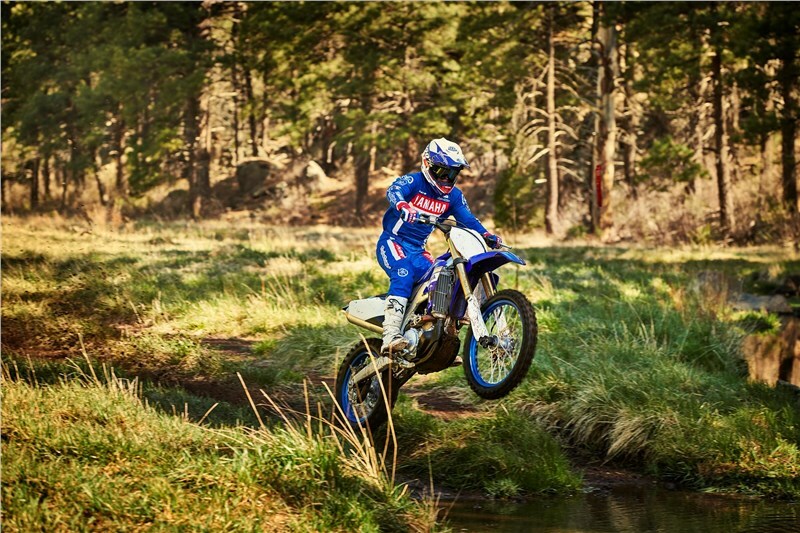 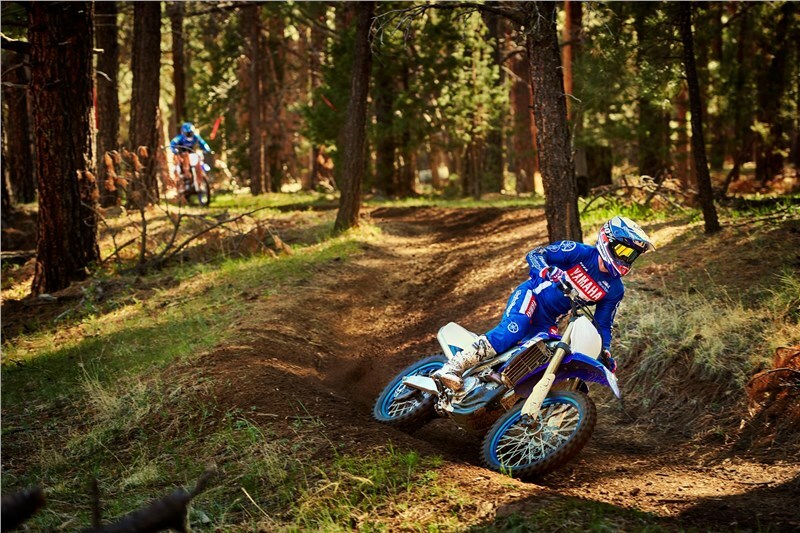 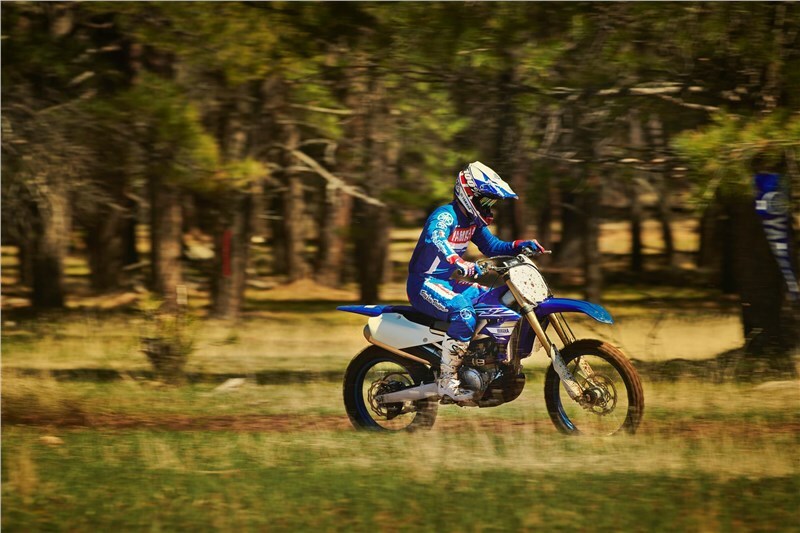 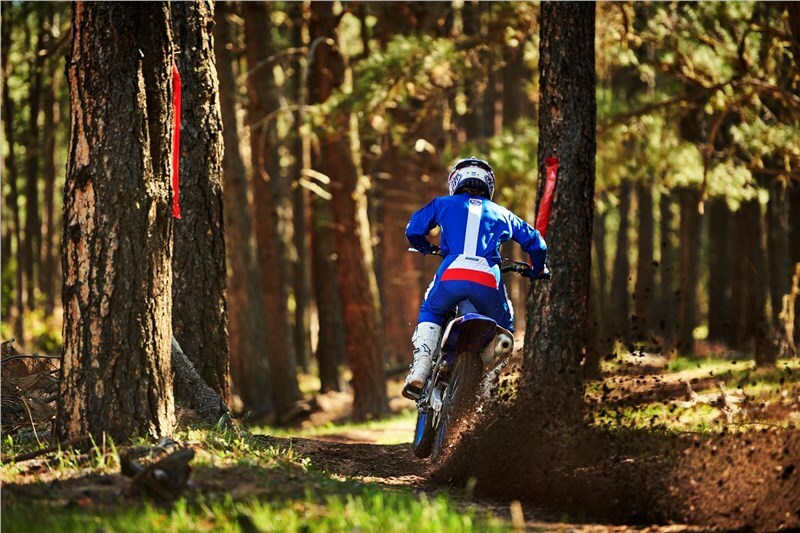 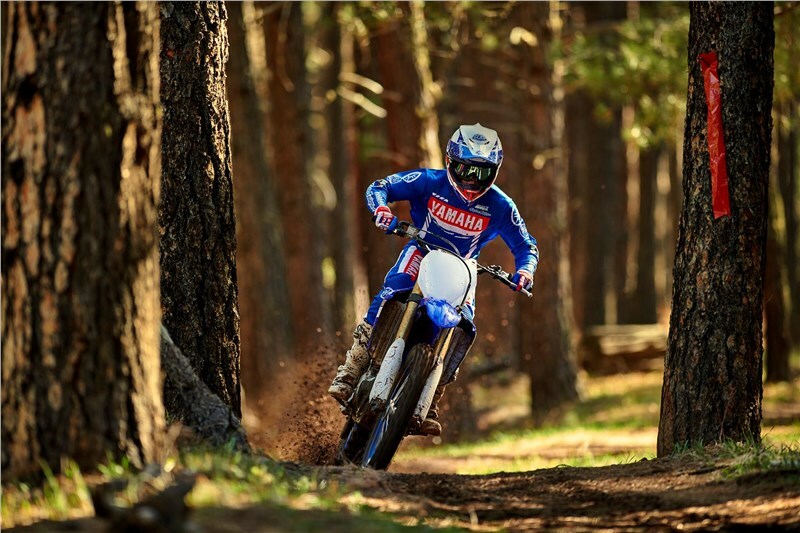 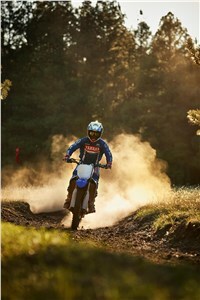 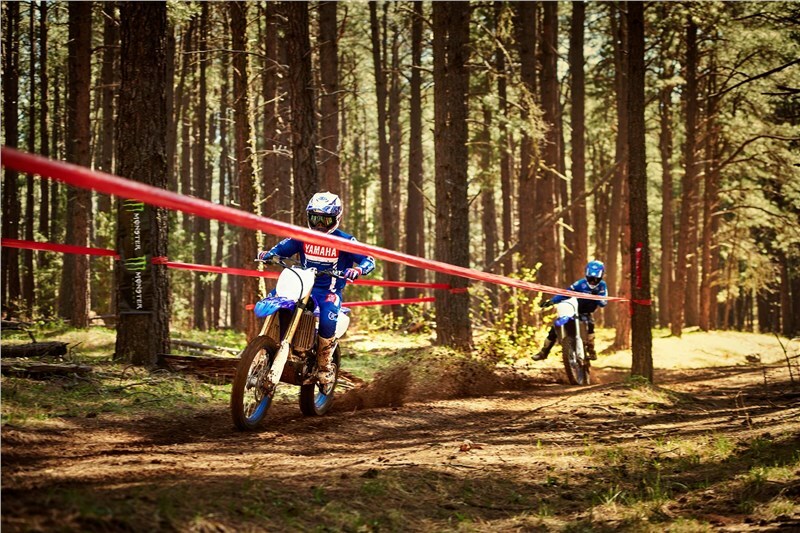 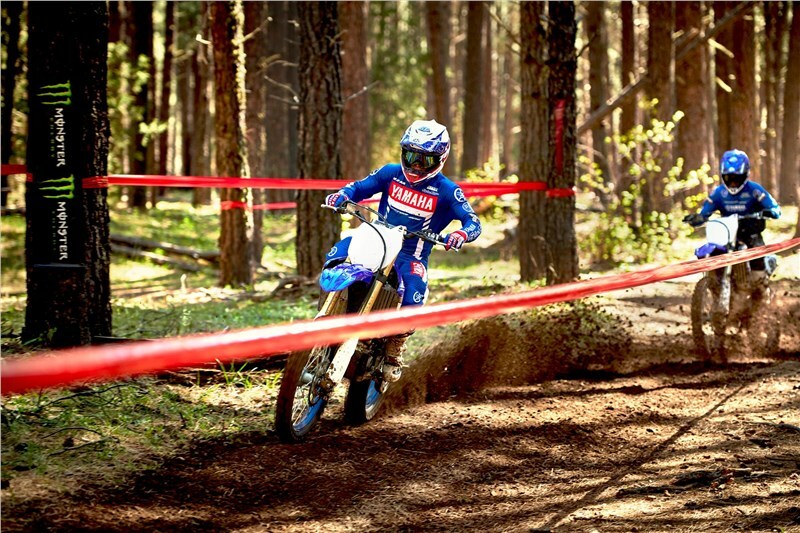 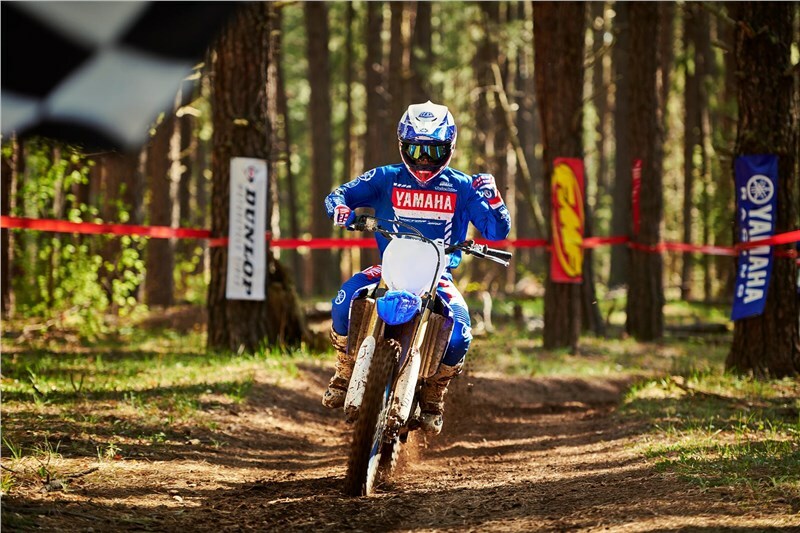 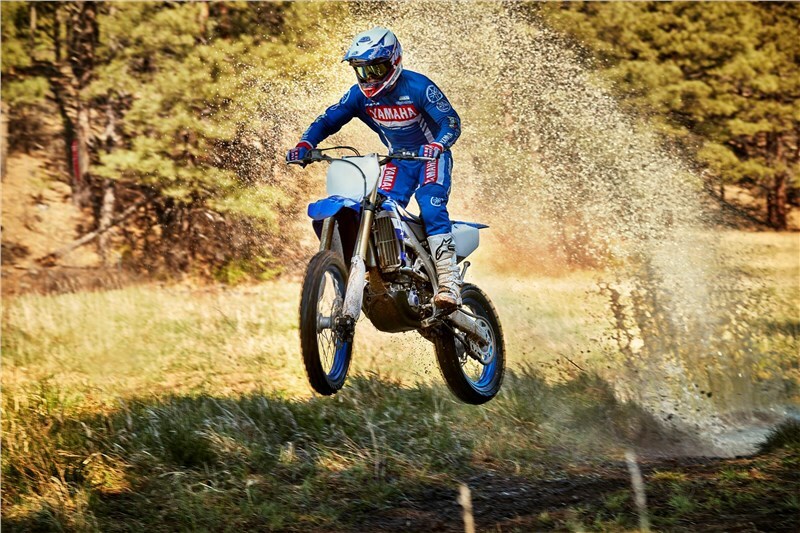 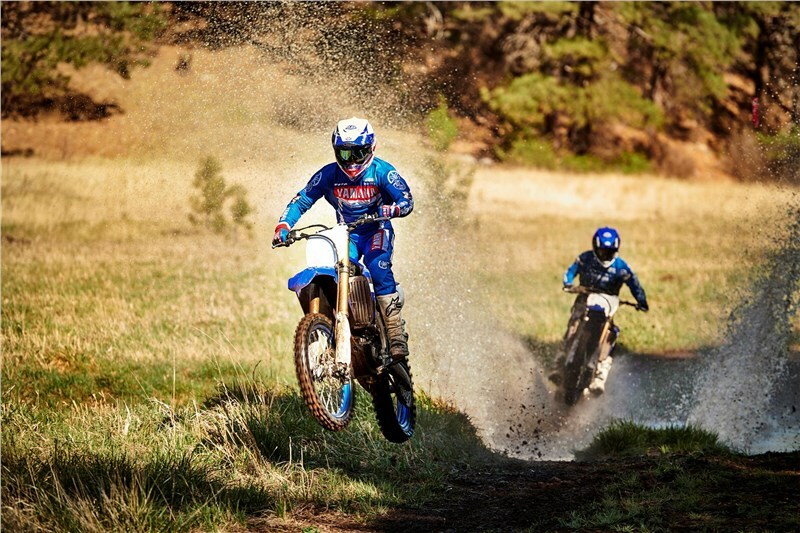 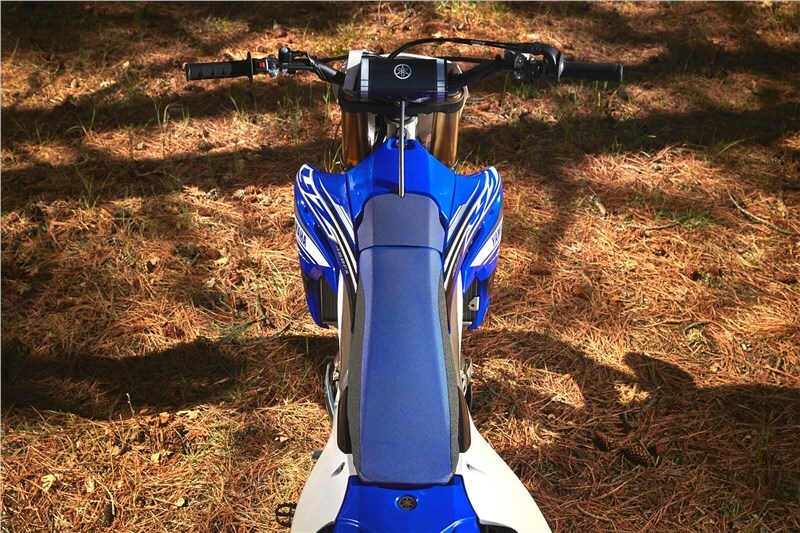 Finally, the YZ450FX features specific ECU settings to suit the needs of cross-country riders. 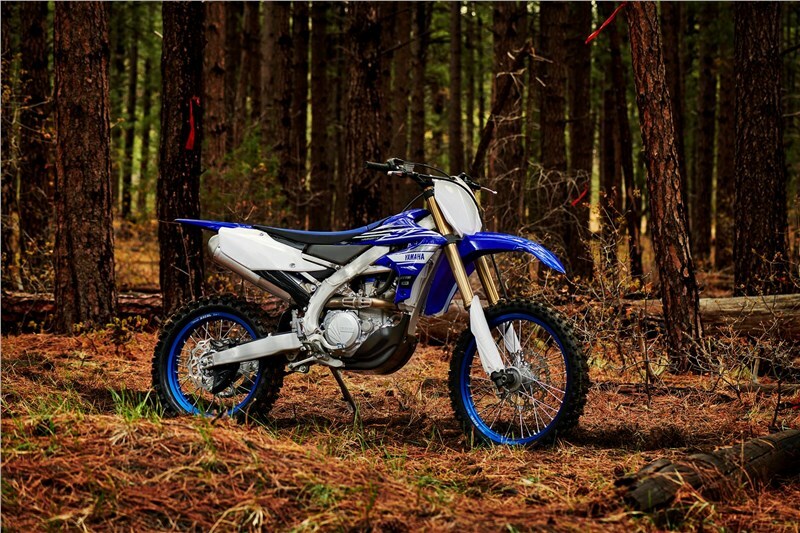 The YZF450FX’s wide-ratio 5 speed transmission enhances cross-country performance for more flexible gearing selection in open terrain. 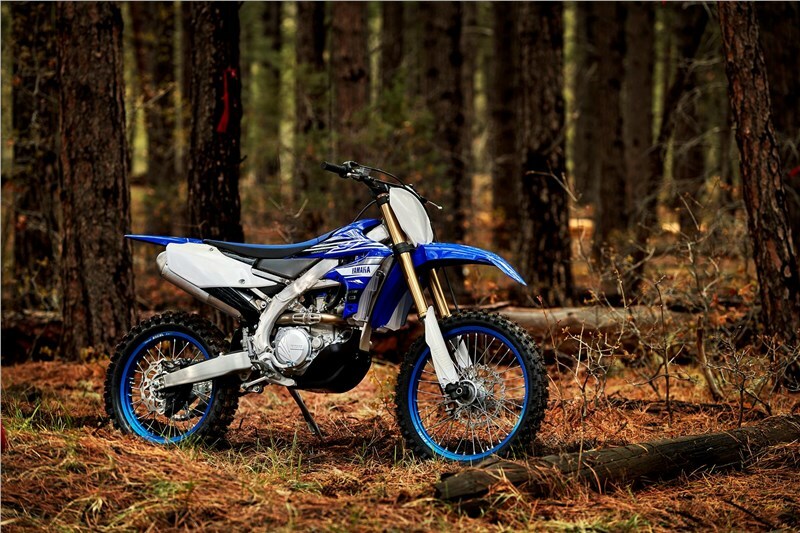 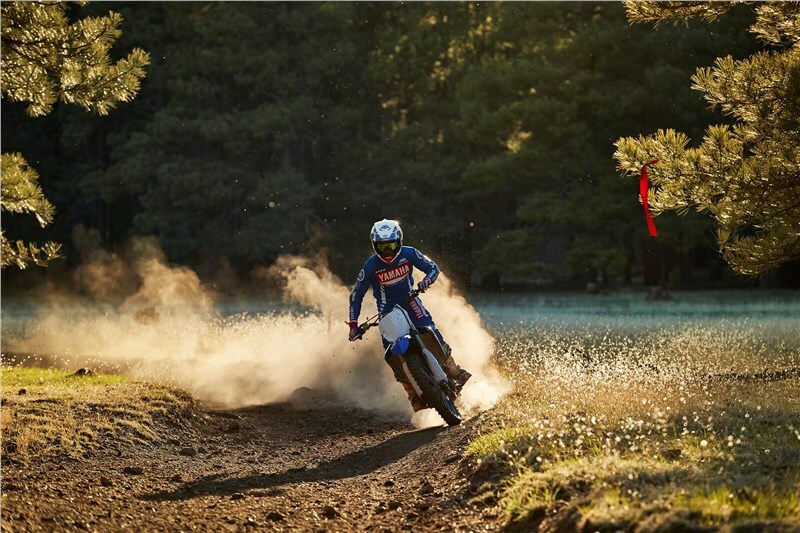 The YZ450FX features enduro-specific tires for the ideal balance of traction and durability, complete with an 18-inch rear wheel. 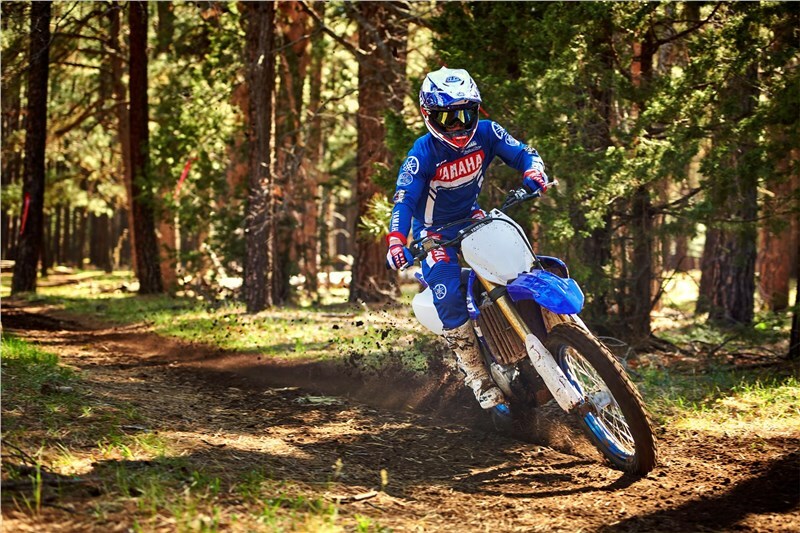 Each wheel’s cross-sectional profile is computer-designed to shave valuable weight without sacrificing durability, too.